I grew up playing with Barbie. Back then (shucks I feel super old) it is one of the few toys my sisters and I agree to share. We have a bunch of Barbie dolls that we’ve cut hair, painted faces and sewn clothes for. It pretty much makes up our childhood play. So I was one of the many who were happy when Barbie expanded their collection to different body types as well as when they launched their most recent campaign, You Can Be Anything. Imagine how empowering the message Barbie conveyed when they launched these campaigns? Here’s to empowering the young and letting them be confident with the possibilities of what they can be. Of course my little lady is as excited as I was when she received her own Barbie dolls to twin with. 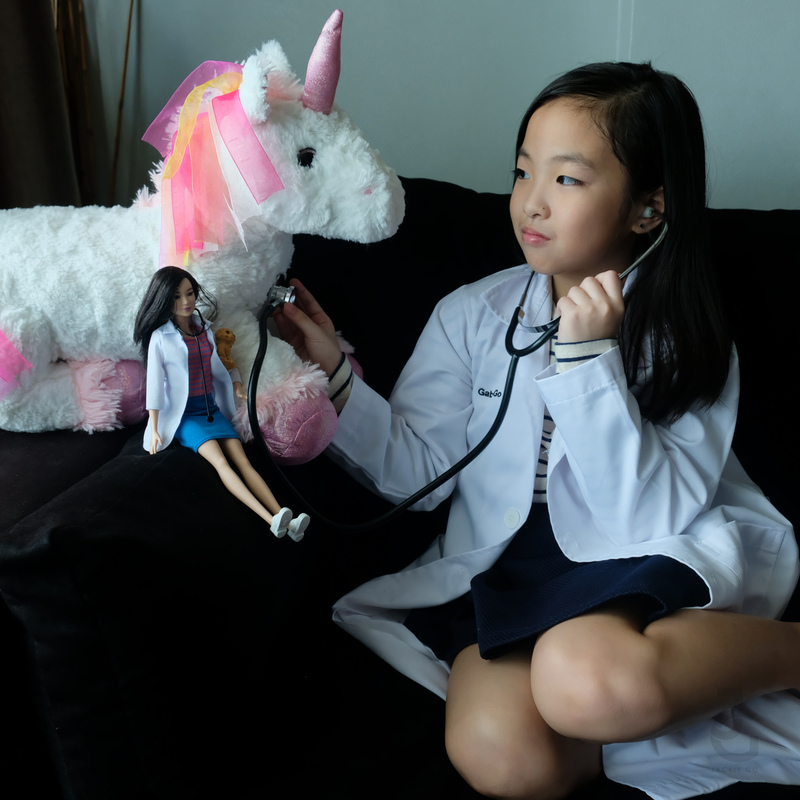 If you ask my 7-year old daughter what she wants to be when she grows up, she’ll enumerate a few things–doctor, teacher, pilot, gymnast, scientist, the list goes on really. So when received this Barbie Veterinarian, she immdeitaly asked me if she can go twinning! 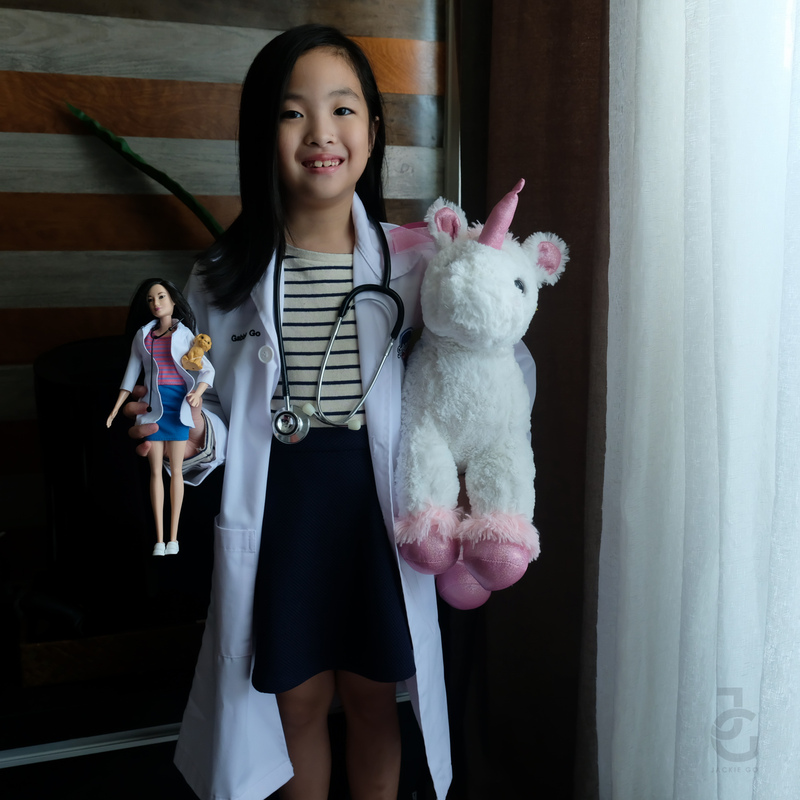 So cute coz she already have a few clients lined up, first up her unicorn. Being a pet doctor is fun because you get to take care of animals and make sure they live a long, happy life. A few days ago, she got this Made To Move Barbie that’s so flexible, she just had to play Twister with her. She’s holding off training this week until her lip heals coz during her last training she busted it and lost her tooth while doing front tuck on the trampoline track. Made to Move Barbie was the perfect pick-me upper for my little gymnast. So much fun twinning with my Barbie dolls. I can’t believe we even have the same outfit! 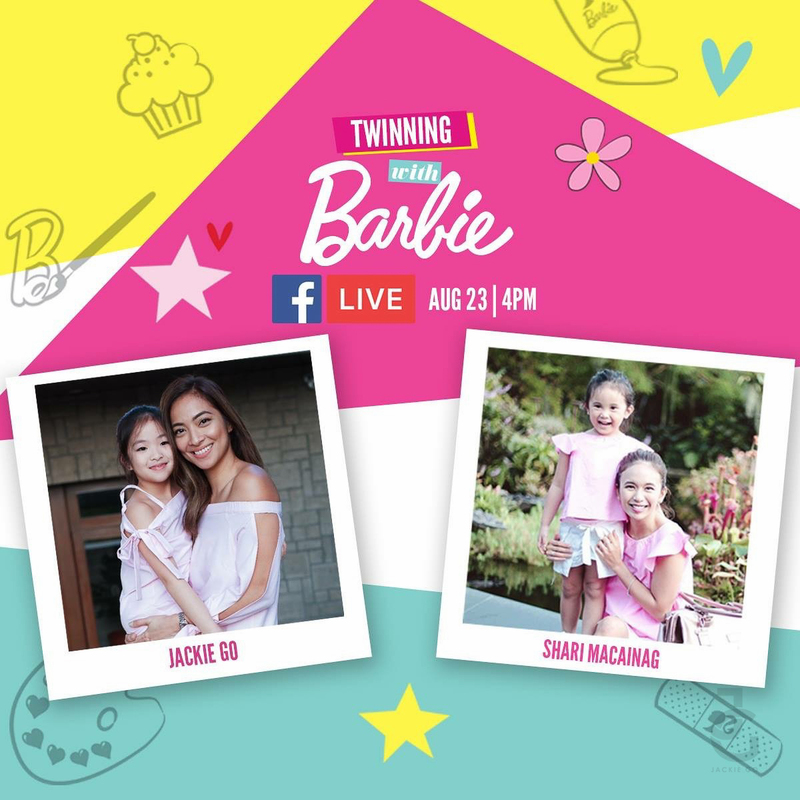 Win Php 20,000 worth of prizes and take your OOTDs up a notch when you share your child’s #TwinningWithBarbie picture and her favorite doll! Just snap a photo, upload it on your Facebook profile account (make sure that post is set to public so we can see it) and add a hashtag: #YouCanBeAnything and #TwinningWithBarbie. Also tomorrow, August 23, 2017 catch The Misty Mom, Shari & I as we go live on Barbie’s Facebook page at 4 P.M.